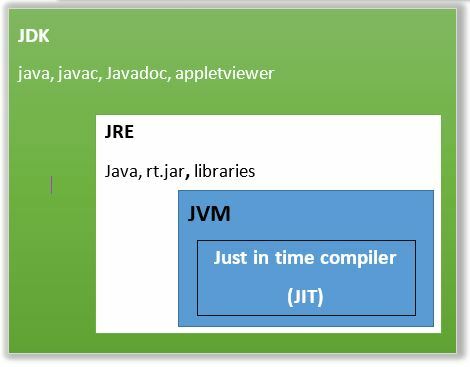 What is the difference between JVM, JRE and JDK explain briefly? 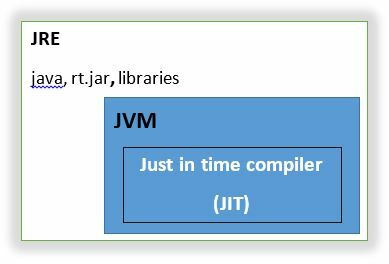 JVM - (Java virtual machine)Java virtual machine provides the run time environment for the java compiled class or byte code that means the byte code can be executed on the JVM. JVM is platform dependent still java is platform independent programming language. 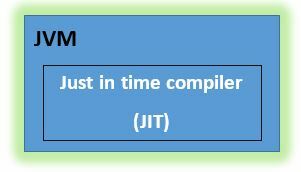 JRE stands for Java Runtime Environment The java runtime environment and set of libraries (software tool) for development of java application. It combine the java virtual machine platform core classes and supporting libraries. JDK stands for JAVA DEVELOPMENT KIT. It is the combination of JRE (JVM + Libraries) and development tools.